Blood pressure is created from the force of the blood pushing against the artery walls. It constantly changes during the day, depending on physical activity, emotional stress or even foods that you eat. Certain variations of blood pressure are normal. However, extreme swings of blood pressure may indicate health problems which often require medical treatment. Then how does blood pressure fluctuate? Then when is the blood pressure highest or lowest during the day? Normally, the blood pressure is lower at night while you are sleeping. It starts to rise a couple of hours before you wake up. It continues to rise during the morning, peaking somewhere in the middle of the afternoon. The blood pressure starts to drop again in the late afternoon and evening. 25%-30% changes of the blood pressure level during the day are considered as normal. If, however, the blood pressure levels fluctuate beyond the range or you feel uncomfortable with the fluctuation, you should get a medical help. After knowing "what time of day is blood pressure highest?" you may want to closely observe your blood pressure during the day so as to detect any abnormal fluctuations. The best way is to monitor your blood pressure at home. To track your blood pressure, you should measure it at different times during the day, about 5 to 6 times per day. Once you understand how your blood pressure works and you get to know your numbers, you can start monitoring your blood pressure once or twice a day. If you have been diagnosed with high blood pressure, monitor it at the same times every day, in case that it is affected by other factors. Often, it is recommended to measure the blood pressure in the morning, before you have your morning coffee and breakfast, and once again before bed. When Should You Check Blood Pressure If You Are Taking Medications? Normally medications do interfere with the levels of your blood pressure. 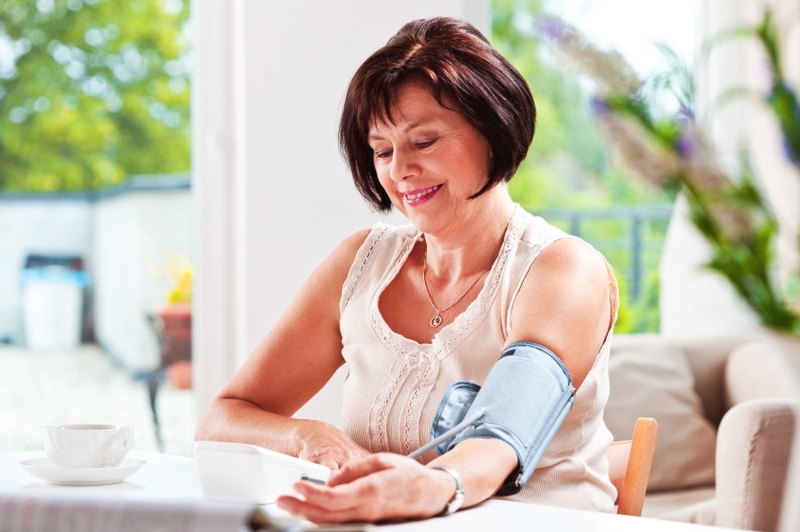 The best time to monitor your blood pressure is just before you take your regular medicines. At that time you will get real results of your blood pressure. You can also see how well your medicines are working. Should You Check the Blood Pressure When You Have the Symptoms? You may also wonder this question after "what time of day is blood pressure highest?" In fact, it is a good time to monitor your blood pressure to see how high it is. Remember to seek immediate assistance when the symptoms are too severe. A pounding sensation in the chest, neck or ears, etc. Here are some great tips when it comes to monitoring the blood pressure correctly at home on your own. Avoid exercises when you want to measure the blood pressure, at least 30 minutes before the exercises. You should sit for at least 5 minutes before you start measuring your blood pressure. Being in a comfortable position is very important. Don't talk while monitoring the blood pressure either. Avoid foods, cigarettes, alcohol and coffee before measuring the blood presser, at least for 30 minutes, as they can all interfere with the normal levels of blood pressure. Don't forget to go to the toilet first, as a full bladder can increase the blood pressure as well. Avoid measuring the blood pressure in a cold area. Get in a place with a comfortable temperature. Be careful not to have a tight sleeve around the arm as it can give false results. Instead, slip your arm out of the sleeve for a better reading of your blood pressure. Position your arm properly. Make sure to rest your arm on a chair, desk or table while measuring the blood pressure. Lift your arm to the level of your heart. Always measure the blood pressure on the same arm. Repeat the readings. Wait about three minutes from one reading to another if you want to check the accuracy of your first reading. There are different types of categories and stages when it comes to high blood pressure. Refer to the following table when monitoring your blood pressure at home.